The kitchen – it is essential to any home. It’s therefore natural to take especial care when remodeling or building one for your house. At Allstate general contractors, our experts can make your dream kitchen a reality. What kind of kitchen is best for you? The type of kitchen that will suit you best depends on how you use your kitchen space. Some people cook as a hobby and are therefore in the kitchen every day. Others visit the kitchen only when they have to warm up the Chinese from last night or grab a soda from the fridge. If you find that you spend a lot of time in the kitchen, go ahead and spend a good portion of your budget on kitchen design. Most important would be your stove and oven. Find one with the specs you need. Get a roomy fridge. For flooring, go with old-fashioned linoleum or wood- they are easy to clean. If you find that you’re time in the kitchen is standard—in other words, no cooking more complicated than a typical family dinner—then keep things simple. Make the theme of your kitchen ease and accessibility. Make your cabinets spacious; get an oven that can clean itself. Get affordable and child-safe appliances. If you are rarely in the kitchen, you probably don’t care much for what happens in the kitchen. However, it is still important for your house to have good resale value. Once you get the essentials (the fridge and microwave), make sure that you make your kitchen look nice. Focus on making sure that its design compliments that of the rest of the house. 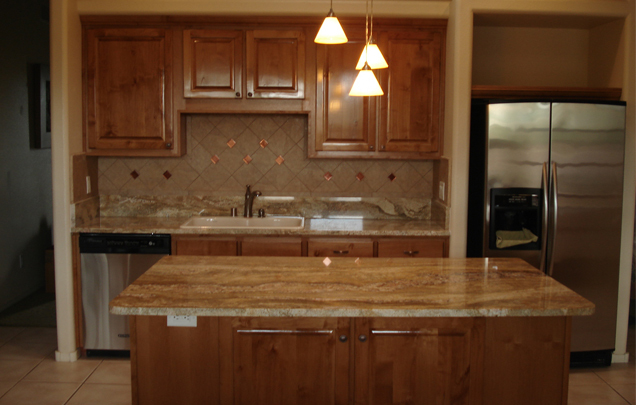 Once you have decided on how you want your kitchen to look, call in your contractor. If you are remodeling, meet him in your current kitchen. He’ll be able to assess the space he will have to work with. Have a list of what you’d like to add to your kitchen – it is ideal to have a folder of pictures if possible. Maybe you can take a picture of a friend’s kitchen or download a picture from the internet. This will help things to run smoothly and efficiently. Your kitchen design contractor will be able to see and effect the vision you have for your new kitchen.